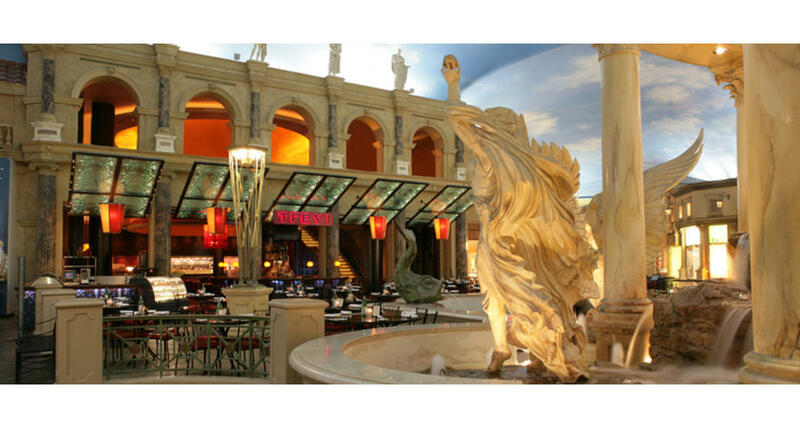 Trevi is Vegas' answer to Romanesque elegance and dining excellence. What was once Bertolini's has been transformed with a new look and new menu. Featuring homemade Italian cuisine, pasta, chicken and veal prepared with true Trevi flair, plus salads, creative seafood selection, and a walk-up gelato and espresso bar that Caesar himself would devour. Patio dining and classic favorites, all located at the "Fountain of the Gods." Trevi serves lunch and dinner daily.